The foldable Galaxy X may be getting all the attention, but Samsung still plans to launch three new entries into its hugely-successful Galaxy S range early next year. 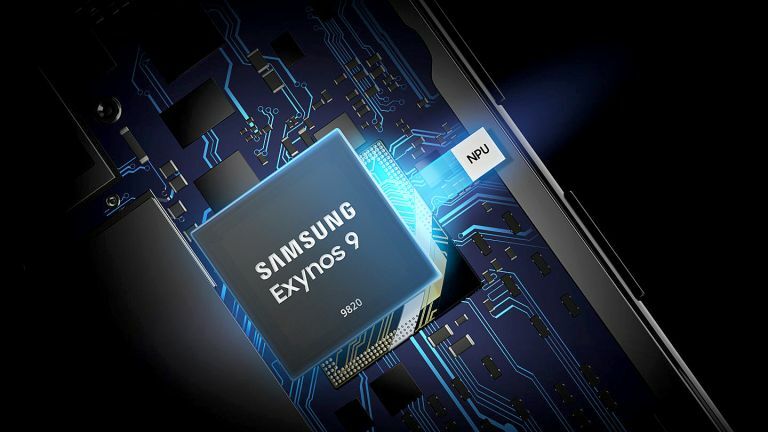 The confirmation of Exynos 9820 comes hours after reliable leakster Evan Blass, better known by his social media handle @evleaks, revealed some juicy new tidbits about the upcoming Galaxy S10 handsets, which will purportedly be unveiled at MWC next year. According to the Twitter tipster, who has an almost impeccable track record when it comes to forecasting the next-generation hardware from Samsung, the Galaxy S10 will have a three camera set-up on the back of the phone which will consist of a wide-angle, a telephoto lens and a primary shooter. Blass has also reiterated previous rumours that the Galaxy S10 will embed an ultrasonic fingerprint sensor beneath the glass on the front of the device, similar to the OnePlus 6T and Huawei Mate 20 Pro. According to a recent patent filed by the company, Samsung looking into technology that allows phone owners to place their fingertip anywhere on the screen to verify their identity. This is a dramatically different approach from rival devices, which use a small portion of the screen to scan fingerprints – typically the same size as the physical sensors found on other smartphone models. According to the US Trademark and Patent Office document filed by Samsung, its fullscreen in-display fingerprint scanner uses a secondary, low-power processor to work. This secondary silicon ramps up the brightness of the screen as soon as it detects contact and scans the print pressed against the glass three times for security. This would make the sensor more accurate than current in-display sensors – not to mention easier to use. Everything else that would usually live inside the bezel on a Samsung-branded smartphone – proximity sensors, speaker grill, ambient light sensors, and more – will be moved to the border around the handset, or embedded beneath the display. Finally, the latest report from Blass seemingly confirms the Samsung Galaxy S10 will ship with the all-new Android 9-based One UI operating system. The latter is a redesigned mobile OS that introduces a new design language for Samsung handsets. According to the Seoul-based technology company, "One UI helps you focus on what really matters to you. With hardware and software working together in harmony, see only what you need, using and viewing your phone with an experience that feels second nature." With the rumoured release still four months away, it's worth taking these details with a healthy pinch of salt. However, Evan Blass has a solid track record with unreleased Samsung hardware, so we wouldn't be surprised if this was all eerily accurate.